If you follow Deborah Underwood on Facebook, you know she's been photographing animals she finds in her outdoor rambles of late. That's Deborah taking her own advice! Some time ago, she wrote the picture book text OUTSIDE, which poetically underscores our powerful and enduring connection with nature, not so easily obscured by lives indoors. The book encourages children to notice that connection and celebrate it. At last, the book has not only an editor (the divine Kate O'Sullivan at Houghton Mifflin Harcourt, who shepherded THE QUIET BOOK and many other Deborah picture books to shelves), but now there is also an amazing illustrator: Cindy Derby, whom I have admired since my stint on the portfolio judging team at the SCBWI National Conference in Los Angeles a few years ago. I can't wait to see what she does with OUTSIDE! Hayley Barrett’s Epic GIRL VS SQUIRREL Showdown! There are great things on the horizon for Hayley Barrett—not the least of which are her already contracted picture books BABYMOON, forthcoming from Candlewick, and WHAT MISS MITCHELL SAW, forthcoming from Beach Lane Press. While you're sitting patiently awaiting those masterpieces, however, I'm delighted to share the news today of yet another glorious new work on the horizon for Hayley fans. Margaret Ferguson at Holiday House has acquired a picture book text written by Hayley Barrett and to be illustrated by Renée Andriani. GIRL VS. SQUIRREL tells the story of a spirited squirrel and an intrepid girl who find themselves in a peanut-driven battle of wills—with ever-increasing consequences! Ammi-Joan Paquette at Erin Murphy Literary Agency represented the author, and Studio Goodwin Sturges the illustrator. The book is slated for publication in spring 2020. Hooray for Hayley! The only question I have is, how are we going to manage to wait until 2020 to read this amazing book?! 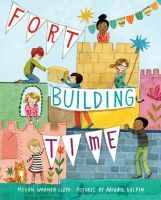 From the team behind Finding Wild, which Publishers Weekly called "a sparkling debut" and a "whimsical meditation on the idea of wildness," Megan Wagner Lloyd and Abigail Halpin are together again for a portrayal of a classic childhood endeavor that is perfect all year long. A magical deal for Andrea Wang! Have you ever given a thought to the ubiquitous dried ramen packets found at groceries and convenience stores everywhere? 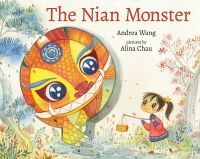 Andrea Wang has—and of course, she found a story there! Andrea's nonfiction picture book text MAGIC RAMEN: THE STORY OF THE INVENTION OF INSTANT NOODLES, showis readers the historical context, scientific experimentation, and spirit of determination and charity that led Momofuku Ando to invent instant ramen. It's rich material indeed! So it should be no surprise that Andrea's NIAN MONSTER editor, Kristin Zelazko, snapped it up (at auction!) for her new employer, Little Bee Books, and found a terrific illustrator to pair with it. Kana Urbanowicz is a Japanese illustrator whose work will bring beautiful details to post-WWII Japan in the pages of the book. It will be her debut, and it's expected to publish in spring 2019. We can't wait!